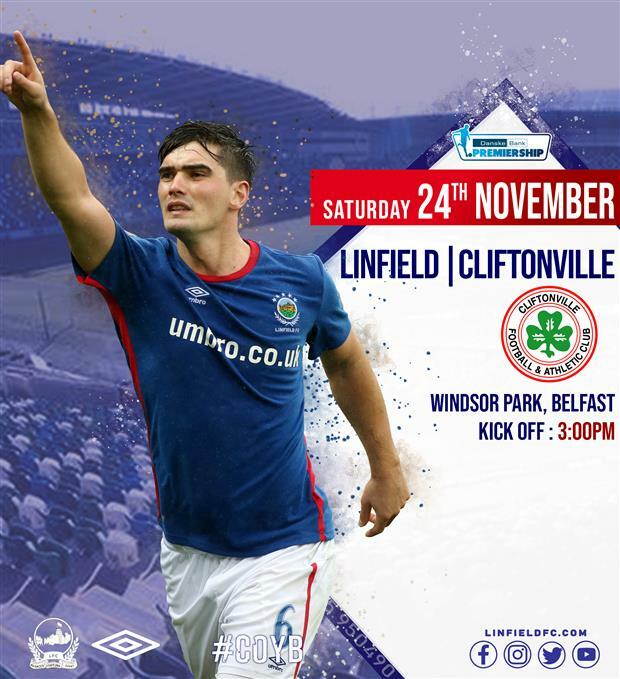 Members and season tickets are valid for Saturday’s Windsor Park game. Following on from the recent news item the following “combined 3 match tickets” are also now on sale. Kop Stand Adult 3 Match ticket covering Cliftonville, Crusaders and Glenavon games - £28. 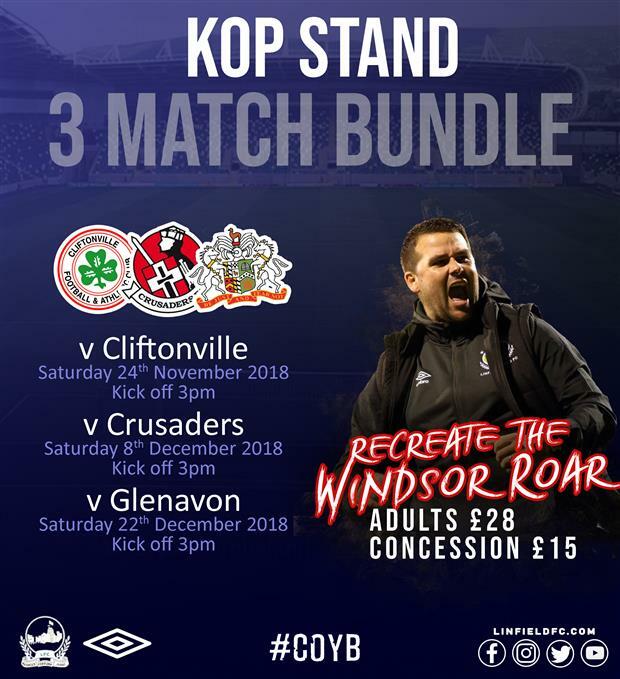 Kop Stand Concession 3 Match Ticket covering Cliftonville, Crusaders and Glenavon games - £15. The combined match tickets are to be retained and used in each of the 3 games. Duplicates can not be issued, if misplaced.